Last Friday appWorks Ventures, one of the two major startup incubators in Taiwan, hosted its sixth bi-annual Demo Day showcasing its class of young companies in its six-month mentorship program. Armed with honed pitches and powerpoint presentations, 20 emerging tech firms took to the stage and announced their latest innovative products to an audience of about 1000 people. The showcase was significant in two ways. First, it was one of the few times in which members from the tech world in other Chinese-speaking territories have visited to Taiwan to scout out the scene. Casey Lau of Startups Hong Kong gave a presentation introducing the audience to Hong Kong’s startup community and explaining its recent development. There’s lots of unexplored potential for collaboration between startup communities Taiwan, mainland China and Hong Kong, and Lau’s presentation underscored how ample opportunity exists for exchanging ideas, resources, and talent. Second, rather than drawing inspiration from the latest game-changers (at the moment, Instagram and Pinterest) and twisting their basic concepts to fit a specialized niche or purpose, most of the firms that presented at the event shunned the trendy in favor of the practical. Since the overwhelming majority were from firms that were in the early seed stage of development, the showcase primarily served as a coming out party, with concerns towards funding resting on the backburner. 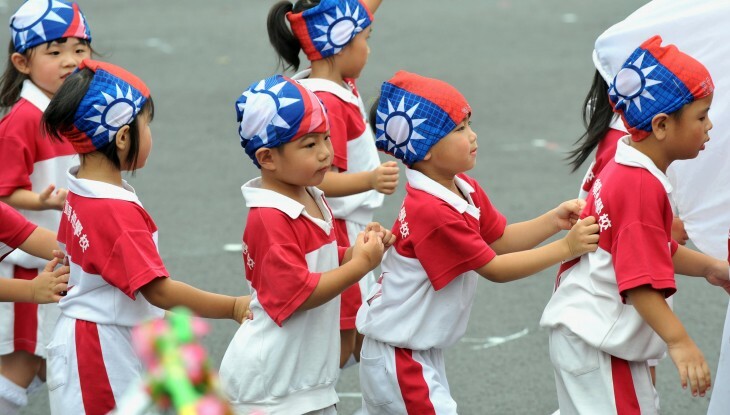 Youth in Asia have embraced hip-hop dance culture and Taiwan is no exception, as dance crews often stake out corners in public spaces on weekends to practice. After observing the art form’s popularity on the island, the team at Stylehood created a brand and online portal for all-things hip-hop dance related, with the intention of uniting the community. Stylehood provides users with news about the street dance community, listings of local studios and upcoming events, videos of performances and interviews, and everything else one might expect from a portal that caters to a tight-knit, active subculture. In addition to the ad revenue it draws from the website, Stylehood earns money by selling its own brand of street dance clothing and accessories, and also hosts events. The company has been around since 2010, making it one of the few firms not in the seed stage of funding to appear at the showcase. The company didn’t disclose metrics, though it currently has over 11,000 likes on Facebook. Boldly going where few startups dare to go, Miranda Chang and her team at Pad have set out to make that time of the month a little less unpleasant for ladies. By launching a delivery service exclusively devoted to this particular part of the women’s health space, Pad hopes to eliminate urgent, last-minute trips to the drugstore. After entering one’s personal information, women can specify their preferred type of sanitary product along with their estimated date of arrival. One week prior, users will receive a care package delivered directly to their doorstep. Pad currently offers six brands of sanitary products and intends to expand its catalogue to include pain-relieving medications and other accompanying items. At the moment, a one-month (in essence, one-time) subscription costs NT$198 (about $6.50USD), and a three-month subscription costs a total of NT$434 (about $14USD). In addition, women who want a some extra TLC can opt to include a “little surprise” (pictures suggest this may be Ferrero Rocher chocolates or macarons) for a one-month price of NT$359 (about $12USD). Pad is in the ultra-early phase of its seed stage and is currently testing its services to over fifty women. Despite the company’s infancy, however, it’s already clear that the team has put a lot of effort into building a brand and culture with potential to spread. Another firm in its infancy, Goo9 has designed an accessory roughly the size of a quarter that can moniter a baby’s sleep patterns. Parents place the device on their baby’s diaper before it goes to bed. Over the course of the night, it can record the baby’s depth of sleep, the times at which the baby woke up, times at which the baby had an accident, the baby’s temperature, and other data points. This information is then sent wirelessly to the parents’ mobile device, where it is collected and analyzed by the Goo9 app. Goo9 is in the seed stage of development and is currently looking for investors as it develops its technology. The Wakeupgov.com team received the most rapturous applause of any company that went onstage on Friday. I-Ping Neal Hsieh, the company’s founder, says that this was due to his use of political humor in his speech, but given his quirky stage presence and the nature of his product, I wonder if there’s a novelty here that extends beyond a few jokes. In any case, Wakeupgov.com stands out as the lone civic platform to present amidst a sea of companies selling consumer goods and services. Wakeupgov.com is a website where both citizens and politicians can interact. Users can post political and social causes they care about and rally for the support of fellow citizens, plan demonstrations, as well as attract attention from politicians. Likewise, politicians can promote policies and gauge support from constituents. Demonstrations listed on the website currently include a protest against a policy to impose fees on trash collection in Taipei, as well as a protest against rising prices of milk powder. It’s difficult to predict the success of civic-minded startups, as political and social causes tend not to go hand-in-hand with monetization historically. The Wakeupgov.com team intends to earn revenue through advertisements, particularly from political organizations, though the website hasn’t yet reached this stage yet. Attitudes towards civic engagement in Taiwan waver between enthusiasm (stemming from the island’s young democratic legacy) and cynicism (stemming from disenchantment with the current and previous presidents), and it’s not yet clear how this platform will grow in such a complicated political climate. Whether motivated by genuine appreciation, irony, or a mixture of the two, Wakeupgov.com’s warm reception at the very least indicates that the founders have hit a sweet spot… somewhere. As Taiwan’s hardware giants struggle to maintain their relevance, things are looking up for Taiwan in the realm of software-driven companies. While many of the firms that presented at this year’s appWorks Demo Day catered primarily towards local markets, this doesn’t make their solutions any less effective or creative. Although all of these companies will face insurmountable challenges as they aim for growth, I’d argue that at this point risk taking still amounts to a net win for the island’s emerging entrepreneurs, regardless of outcome. Many in Taiwan cite cynicism and fear of failure as the main reason for its startup scene’s ongoing latency. If this is in fact the case, more cross-territorial exchange might be part of the solution. By trading stories about what works and what doesn’t work with its two culturally-tied markets, Taiwan’s startup community can position itself to outgrow its oft-lamented “island mentality” and make major contributions to Asia.